Discussion in 'Articles' started by Trickman, Apr 18, 2014. Now you can witness history, as one of the video game industry's biggest urban legends gets unearthed—literally. 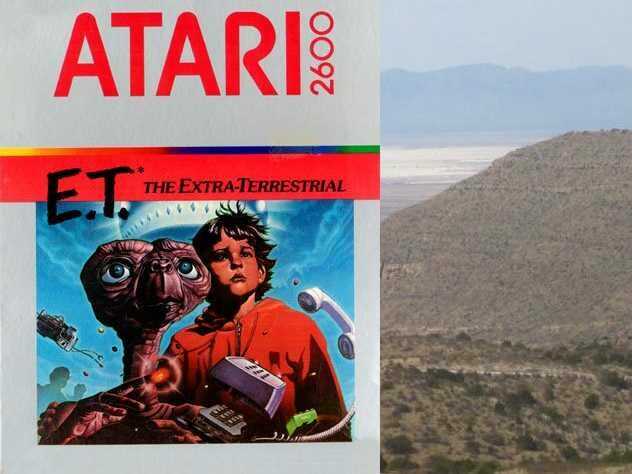 Rumor has it, Atari Inc. allegedly buried millions of unsold E.T. 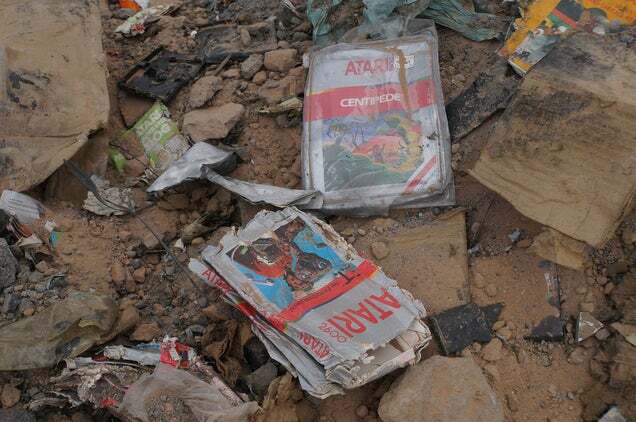 game cartridges in an Alamogordo, New Mexico desert landfill. Now, 31 years later, a team of archeologists will be excavating the landfill. Xbox Gaming Studios will be filming the dig and other media, fans and people tied to the event will be in attendance. The Atari Corporation – faced with overwhelmingly negative response to the “E.T. 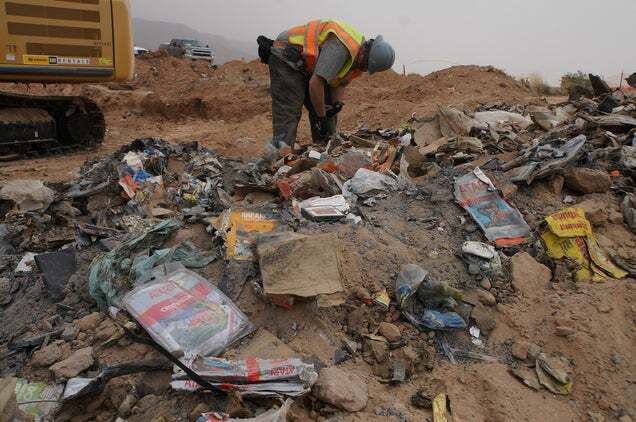 the Extra-Terrestrial” video game – allegedly disposed of millions of unsold game cartridges by burying them in the small town of Alamogordo, New Mexico in 1983. Fuel Entertainment took an interest in the legend, and in December 2013, with help from local garbage contractor Joe Lewandowski, acquired the exclusive rights to excavate the Alamogordo landfill. Fuel Entertainment brought the opportunity to Xbox Entertainment Studios, and now, as part of a documentary series (developed by Xbox Entertainment Studios and two-time Academy Award® winning producer Simon Chinn and Emmy winning producer Jonathan Chinn, through their multi-platform media company, Lightbox), the team will excavate the legendary New Mexico landfill to reveal the true story of Atari’s bizarre burial. Director Zak Penn (“X-Men 2,” “Avengers,” and “Incident at Loch Ness”) will be documenting the dig and the events around it. In addition to fans and media, a variety of people tied to the dig, video game, and film will be in attendance – including “E.T. the Extra-Terrestrial” video game designer Howard Scott Warshaw, a team of archeologists and representatives from Xbox Entertainment Studios, Lightbox and Fuel Entertainment. We hope you’ll join us as we get to the bottom of one of gaming’s biggest mysteries. A lucky handful of fans could even be interviewed for the film. See you in Alamogordo! LOL, it'd be nice if they could actually get the company name right. It's Atari Inc., Atari Corporation is the later company. I can at least fix our end of it. Done. They DID find hundreds of carts...not the millions that were supposedly in there. It finally puts to rest the urban legend and gives the city of Alamogordo a nice story that may help with tourism (maybe).